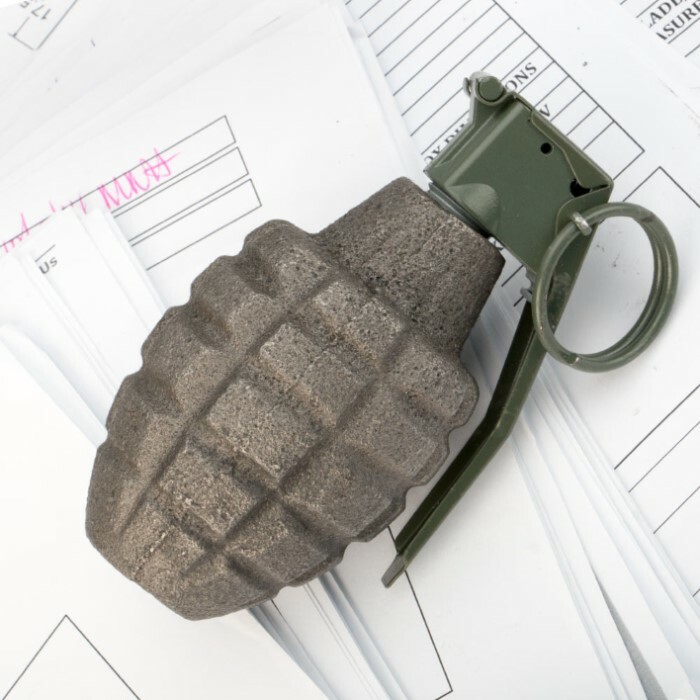 Inert Pineapple Grenade Replica Paperweight | BUDK.com - Knives & Swords At The Lowest Prices! This inert Mark II replica grenade is the perfect paperweight for a military enthusiast. 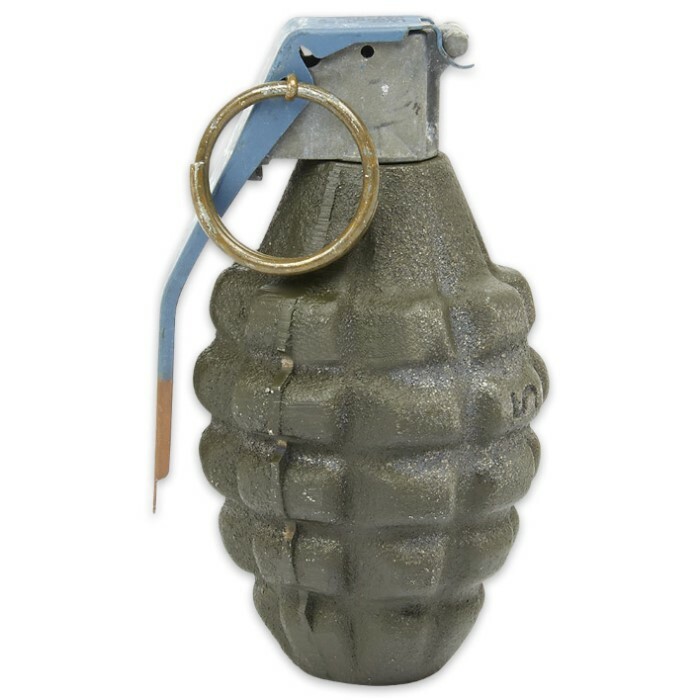 It looks and feels just like a real grenade and even has a working pull pin. This is a real sweet toy. It can easy enough be reworked into a working product. I love the two i have. This dummy grenade isn't too bad however there are a couple of flaws. The top and the bottom are very unevenly cut so it doesn't stand up right and the spoon isn't even and doesn't set right. The pin and the spoon are painted green and they kinda look like they're plastic. You'd be getting the grenade that's in the second picture not the one in the video.. I would have preferred to have the one in the first picture or the video. It's not terrible but not exactly what I was hoping for. Same repro grenades everyone sells. The description is a bit vague but the fuse is a real surplus. Fits perfectly on my SKS grenade launcher. Even better looking in person! I bought one for a christmas gift and my grandpa loved it!